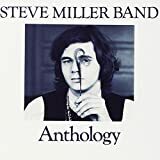 Steve Miller Band's, "Dance, Dance, Dance"
Steve Miller himself is approaching 70 years of age; his grandparents must be long dead by now. Today, Steve would probably be boarding a 767 or 777. Steve Miller Band's, "Mercury Blues"
Mercury ceased to exist in 2011, so if he wants a Mercury now, it'll have to be a used one.